Avocados are one of the most universally loved foods, yet a lot of people avoid them because they can be a hassle to cut, especially if you're trying to make cubes. You can peel the avocado and then cube them, but that takes a lot of time and is messy. You can try the cut-and-scoop method while holding the avocado in your hand, but then you run the risk of slicing your palm, and the results often aren't satisfactory. 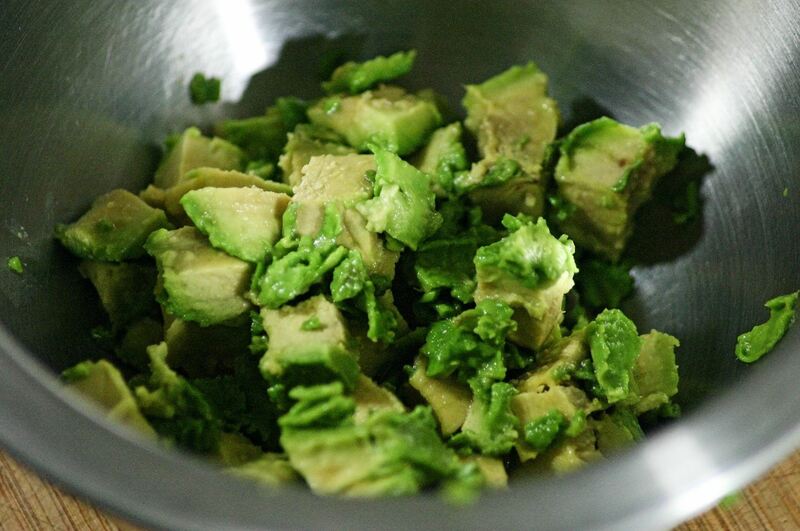 Or, you can try this mess-free, foolproof method for cutting avocados into perfect cubes. The best part? It only takes 10 seconds, and you can do two halves at once! 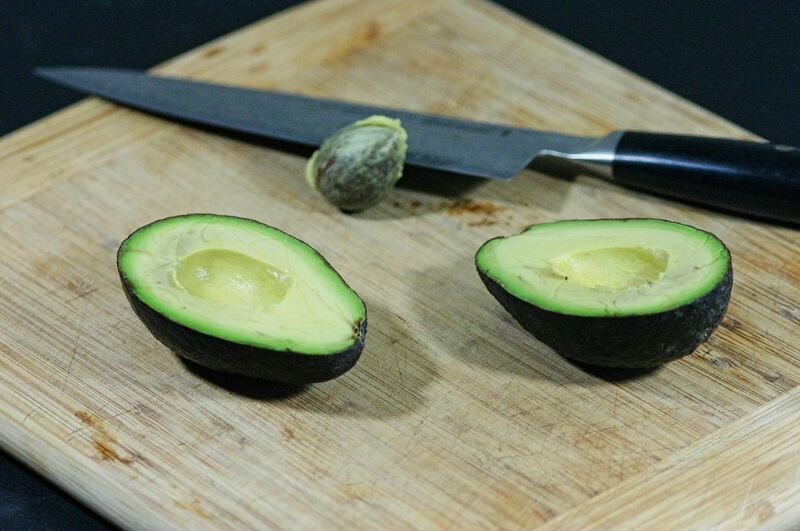 Cut your avocado in half lengthwise, and remove the pit. Place one or both of the avocado halves flesh-side down on top of a checkered cooling rack, with a bowl underneath. The cooling rack has to be the checkered type, rather than just a standard, unidirectional one, in order to produce the cubes (though a single direction sheet will work if you want slices instead). 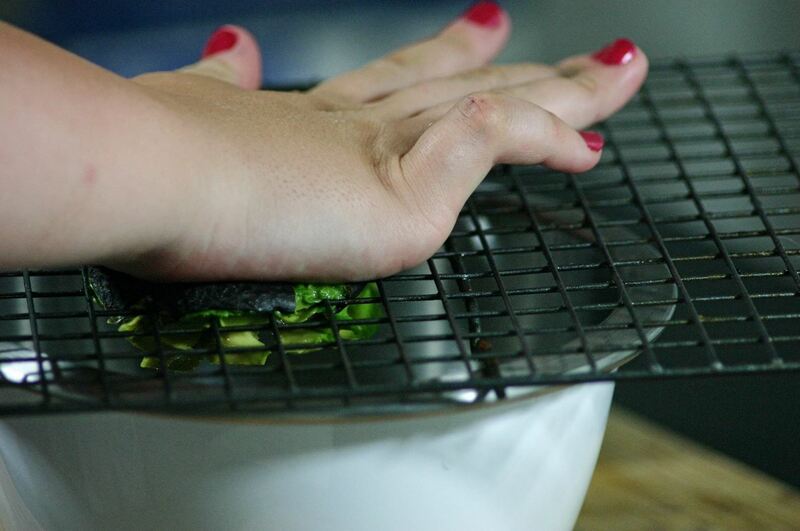 Using your hand (or the back of a spatula), push the avocado through the cooling rack (if you are doing two, use both hands). Push straight down, firmly but gently, until the peel is pressed against the rack, then push sideways and slide the peel off to cut off any dangling avocado cubes. Just like that, you'll have perfect avocado cubes (and clean hands)! If you're like me and your first thought was "this is too good to be true, no way it will work so well," just check out the video below from Saveur to see how easy this method really is. 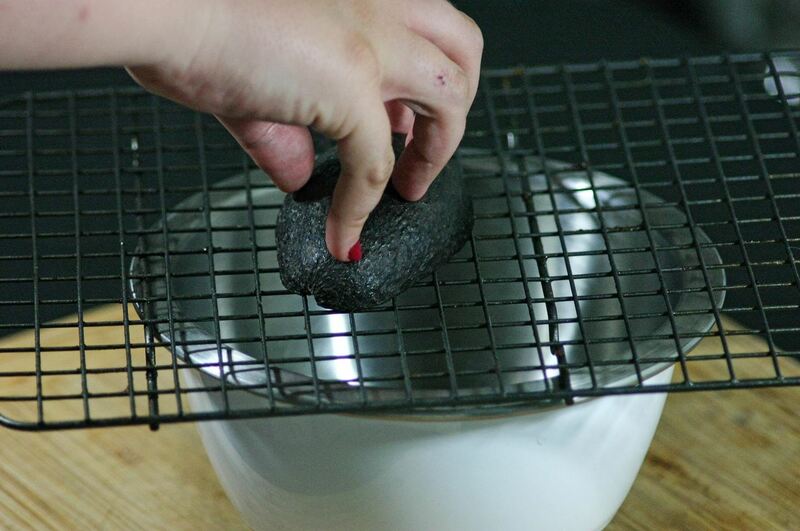 Whether you're making full-on guacamole or just need some topping for your tacos, this cooling rack method is the ideal way to get perfect avocado cubes in only 10 seconds.